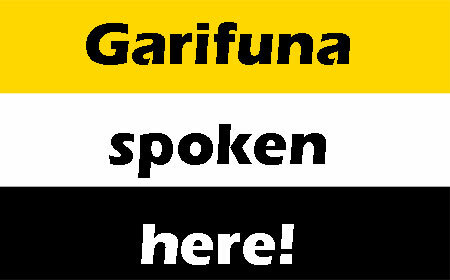 The controversy around First Caribbean Bank in Dangriga in regards to the use of the Garifuna language by its employee(s) is bigger than just bank employees speaking in the indigenous language while conducting the bank’s business. Who is at the other end of those conversations? This is also about the bank’s Garinagu customers being prohibited from speaking their own language in that bank, whether they are merely acknowledging the employees or conducting their business. Restrictions are being placed on the largest segment of the Dangriga community in this aspect of their daily lives! Where there’s smoke, there’s fire. Something insidious is going on here. Some years ago in the U.S. city where I live, the English-speaking majority used to rail against the Spanish-speaking population insisting that they “learn English or go back to Mexico.” With the passage of time someone wised up. Signs sprung up like cutting grass almost overnight at business places: “¡Se habla Español!”; “Spanish spoken here!” The English-speaking politicians began to learn Spanish phrases so they could at least greet that segment of their constituency in their native language. This was not because of some change of heart. The business community realized what they were losing with Hispanics and Latinos not patronizing their establishments. Those in the political arena found themselves in a position where they had to come courting the Hispanic and Latino vote. Today, in this same multi-ethnic and multi-cultural city, public and private institutions alike, are staffed with persons fluent in the languages most commonly spoken in the communities. The underlying agenda of those who had objections to the Spanish-speaking community, whatever that agenda was, was thwarted. So I say to the Garinagu in Dangriga in particular, and to the Garinagu in the rest of the country: today it’s your language; tomorrow who knows what it will be. You’ve come too far to turn back now. This calls for decisive, definitive, collective action. Take your money out of First Caribbean Bank! Travel as far as you have to and give your business to another bank, to your credit unions, whatever you have to do. Just as important, call out your political representatives to publicly address this issue. Fellow Belizeans of all languages, support this action. Tomorrow it could be you.